The progress on energy efficient software is difficult for many. If you are a mobile developer you think of the energy efficiency of your code. If you are Google, Microsoft, or Facebook you think of the performance per watt. But, there is a lot more that can be done. The National Science Foundation has awarded a grant for greener software. A Binghamton University computer scientist with an interest in “green” software development has received the National Science Foundation’s most prestigious award for young researchers. 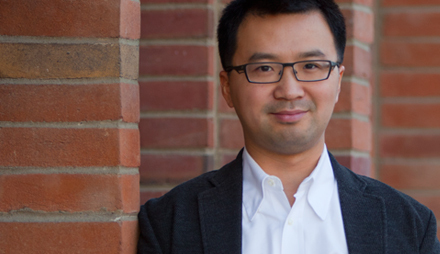 Yu David Liu received a five-year, $448,641 grant from the NSF’s Faculty Early Career Development (CAREER) Program. The highly competitive grants support junior faculty who exemplify the role of teacher-scholars through outstanding research, excellent education and the integration of education and research. Part of the challenge is the lack of support for energy aware programming. None of the mainstream computer languages supports energy-aware programming, he said. However, language designers often create a blueprint that can be extended. Java, for instance, could be extended as EnergyJava and remain 90 percent the same. Such moderate changes would make it possible for programmers to adopt it relatively easily.